Care2 Causes | We Waste a Lot: Take the "No Food Waste Challenge"
We Americans waste nearly 40 percent of edible food in the U.S., says the NRDC. One group is working to change that. Founded in February 2008, nonprofit Kanu Hawaii supports personal change and group actions using a combination of custom-built web tools, social media, and be-the-change messaging. Kanu Hawaii’s e-newsletters often encourage environmental and health-friendly lifestyle changes, and teach me new things. A recent Kanu Hawaii e-newsletter included this fact: food waste is the single largest category of waste in US landfills! According to the US Environmental Protection Agency in 2010, 97% of food waste was thrown into incinerators or landfills. That’s almost 34 million tons of food. Once again, the Natural Resources Defense Council states that this is about 40% of edible food in the US. I was surprised to learn that as excess, leftover, and scraps of food decompose in landfills, the food releases methane gas, which contributes to climate change. According to the EPA, landfill methane gas becomes a greenhouse gas at least 20 times more potent than carbon dioxide when it rises into the atmosphere. Landfills account for 25% of all methane releases resulting from human activity. If this isn’t enough to inspire you to rethink your personal food practices, then check out some other statistics in this Kanu Hawaii blog post — including that the average US household of four persons throws away $175 worth of food each month. Consider buying, preparing and ordering out smaller portions of food. But for those food scraps that do happen, Kanu Hawaii is asking people to participate in the “No Waste Challenge” by taking the pledge “I will compost my family’s food waste.” The organization published a blog post detailing how to start a compost bin. If your food does wind up at the landfill, then there is still a way to recover it — sort of. The EPA’s Landfill Methane Outreach Program helps entities capture, convert and use landfill methane gas for fuel. There are approximately 2,400 operating or recently closed municipal solid waste landfills in the US. 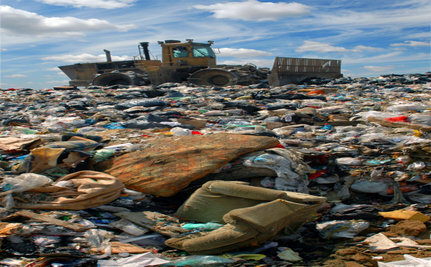 Unfortunately, only approximately 520 landfills capture and convert their methane gas. EPA estimates that 510 additional landfills could cost-effectively have their methane gas converted into energy. In the meantime we can focus on personal changes, like the ones promoted by Kanu Hawaii. This holiday season, when you sit down to enjoy your meals, consider and honor all of the unseen inputs that brought your food to you — including the farmers, workers, animals, packagers, transporters and cooks. For more information about how you can help family farmers, check out Willie Nelson, Neil Young, John Mellencamp, and Dave Matthews’ organization, Farm Aid — they also put out a really good e-newsletter. I also really like the Kokua Hawaii e-newsletters, which share a lot of great stories about environmental education practices in Hawaii’s schools, and ways we can make a difference through the decisions we make. We rarely have waste or scraps, either the cats, chickens wild birds and local strays eat it up. Sinful to waste food..scraps get put in compost bin.. Thanks for the spread of awareness! In my family, we recyle cans and things. We also never throw out leftovers before putting them in the fridge for eating again. And I did not know about that methane gas part.. That was something I didn't expect at all. I'm always mindful of what we throw in the trash, but realizing some things stated in the article, then I think it would be a good idea to be more concerned. I'll probally preach about what I've learned to my parents later. Thanks for this article, and for keeping people well-informed! Michael R., I love that thought. Our food is so "impersonal" these days. We don't know the people who grew it, brought it, prepared it. No wonder we are so thoughtless about wasting it.